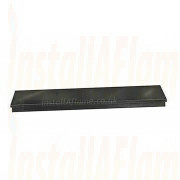 Fireplace Hearths are available in solid stone, boxed and lipped risers or boxed flush (no lip) two tier waterfall hearths, and granite plinths for stoves, back-panels are avalable in full panel, slabbed or plain and is 3-piece slips in sizes to suit all fireplace openings. 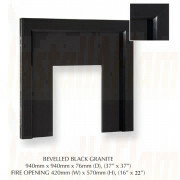 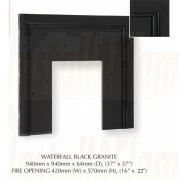 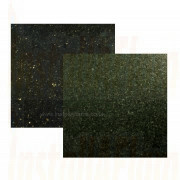 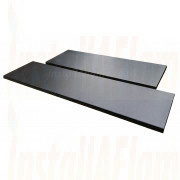 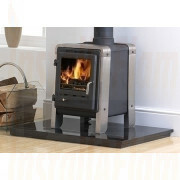 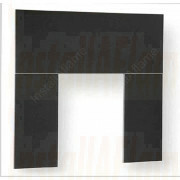 Black Granite for fireplace hearths is very popular hearths are manufactured in various sizes and shapes. 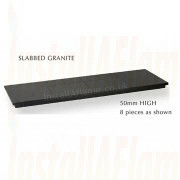 We can proved a bespoke made to order sizes for any granite hearth or panel, please contact us for more information.